If there is such a thing as gaming nirvana, then I think 2011 is approaching that status. Basically, 2011 is the nexus around which all other years revolve and aspire to. That’s putting it in dramatic terms to be sure, but more games keeping getting added to the list of greats that we’ll be playing by year’s end. Now we’ve got the NGP to look forward to, and even a few surprises like Saint’s Row 3. As we’ve said before, it’s exciting to watch it all unfold. However, some people don’t want to wait, and have already started crowning their champions. GamesRadar recently released a Preemptive 2011 Game Awards list, and while I think it’s kind of ridiculous, it’s still fun to speculate. 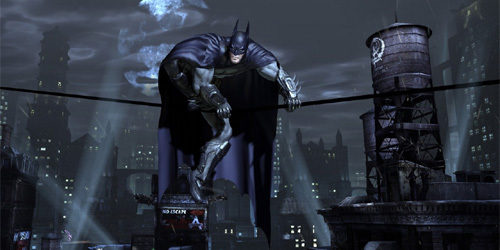 They’ve pegged Guild Wars 2 as the most addictive game of 2011, Skyrim as the best RPG, and Batman: Arkham City as game of the year. The possibility of Arkham City actually being better than Portal 2 seems like a long shot to me, but one that I’ll be happy about if it ends up being true. So what do you guys think of their preemptive game awards? What do you think the winners are going to be in all of these categories by the time 2012 hits? Go! The possibility of Batman or Portal 2 being better than Uncharted 3 sounds like even more of a long shot to me. It’s an interesting list. I predict my GotY will be either Uncharted or Dragon Age. Skyrim and Mass Effect are likely to be close runners up though. Where the heck is Mass Effect 3? Stupid list is stupid. Also, while I appreciate the fact that Batman will probably be a good game, GOTY contender it is not. Call me psychic. [quote comment=”15446″]Where the heck is Mass Effect 3? Stupid list is stupid. I was looking for Mass Effect the whole time too. And Batman won’t beat out Uncharted and Mass Effect. Guild Wars 2 ;D Hellz yeah.